As the cabin doors swung open, I was greeted with a burst of hot, humid, muggy Cairns evening air. It was a pleasure to be back, and so much easier to arrive in a matter of hours than drive for days like last time I was on the East coast. Coming back to Cairns was something I was really looking forward to. I had a great experience last time, although challenging emotionally as I was still caught in the tight grip of grief. This time I knew I would feel very different, and this certainly proved to be true. My first day began early at 5.30am with a run to the local rugby field. The cumulus clouds were pink and bumptious in the early morning sky, and a real treat to wake up to. I have a renewed appreciation for sunrise and sunsets these days; I aim to see as many of them as I can. 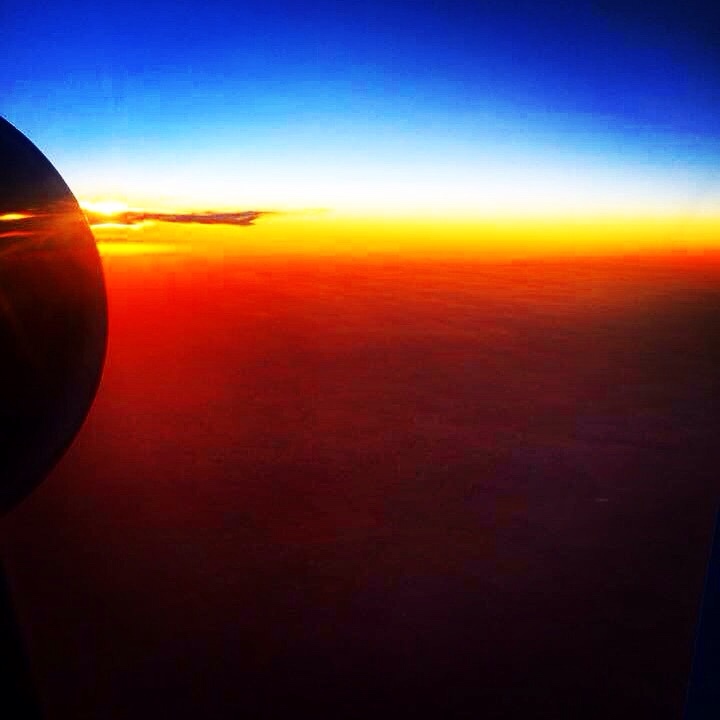 The beauty and glow from the sky at this time really makes me appreciate nature and the world around me. I don’t know why but I seem to have neglected this perspective for such a long time, not paying attention to the natural rhythms of the day. I am more in tune now that I am alcohol free. My awareness and clarity have been dramatically accelerated which is so awesome. Our first day started with a drive out to the Atherton Tablelands. I was very much looking forward to swimming in the crater lakes, so this was first on my list. 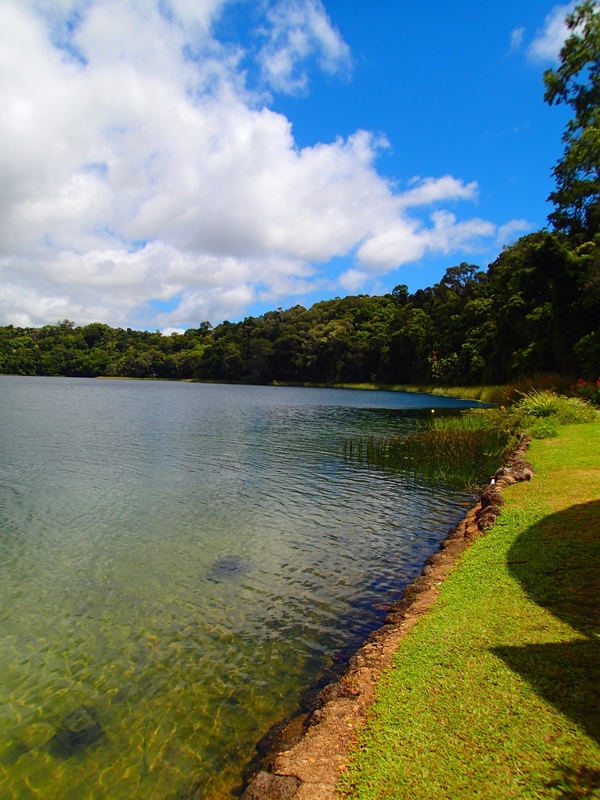 We made it to Lake Eacham mid morning and it was so good to return to one of my favourite places to swim. I took a small walk around the lake edge for some snaps and then made my way into the water. Once again it was so refreshing and so invigorating. Another aspect I love about travelling, is that I really enjoy meeting new like minded people. At the lake after my swim, I met a young American woman who seemed to have quite an obsession with all things German. She had studied Germanic’s at University, and had been an exchange student there twice as a teenager. We chatted about our lives in a nutshell and our exchange was honest and thoughtful. She had worked in Alaska for awhile and lived in Seattle, she seemed very interesting to me. She also gave me some information about driving a car to Alaska which was very helpful as this is my plan in a few months time. Then she left as quickly as she came, that’s the beauty of travelling. A flash of inspiration from a like minded person, then gone! I love those brief but powerful and memorable exchanges. The afternoon was complete for me with a visit to the Butterfly Sanctuary. 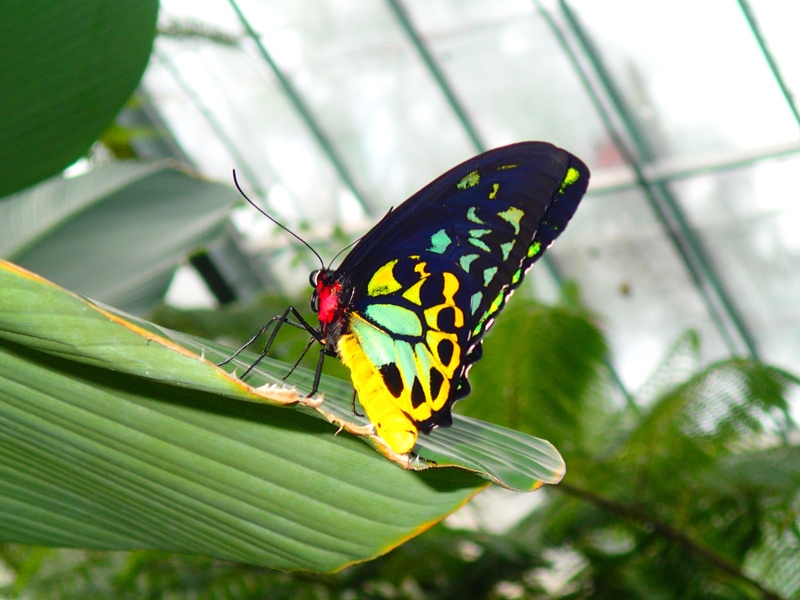 There was a huge range of colourful bright butterflies, all set in a lush green tropical garden setting. It was so peaceful and a very calming experience to see so many attractive butterflies fluttering around before your eyes. The next day began very early and with great expectation. 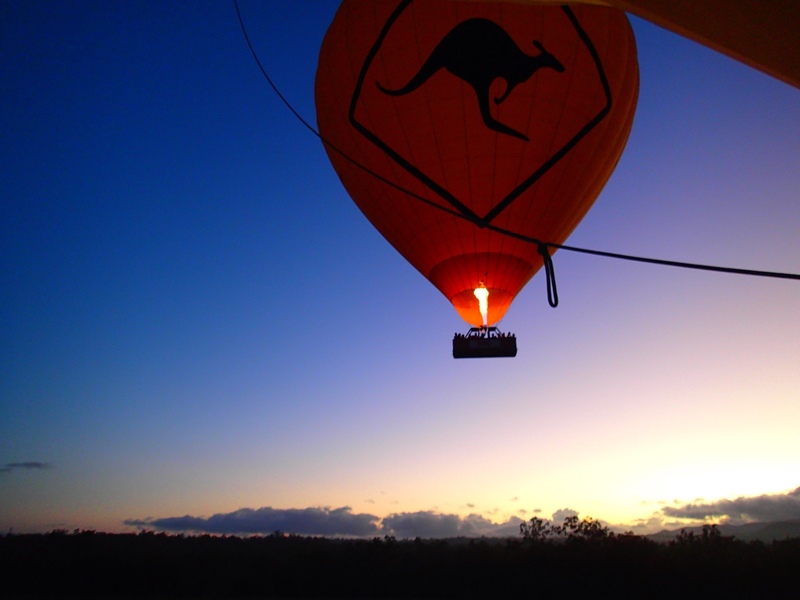 I was making a dream come true by going on a hot air balloon ride! We rose at 330am and were greeted by Tony a very friendly Japanese man who drove us out to the ballooning site near Mareeba, about an hour out of Cairns. 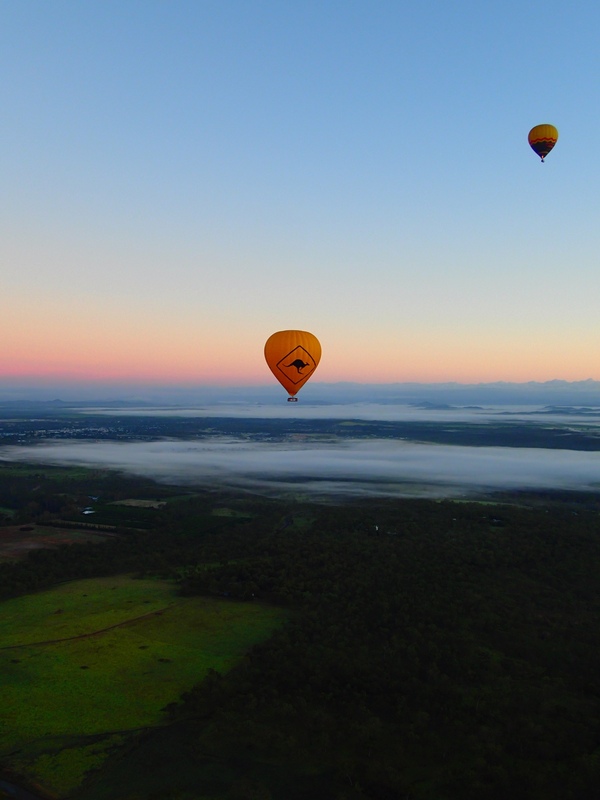 Mareeba is nestled in the crest of two mountain ranges which proves to be good conditions for hot air ballooning. Our pilot Pepe was from Spain and he had flown balloons all over the world including Turkey, where I next plan to fly. He owned his own company in Spain but due to the slow economy in Europe, had decided to make his living in Australia for the time being. He was very skilled at manoeuvring the massive balloon, so I felt very safe in his capable hands. I was nervous at first, but also excited to be fulfilling a dream, not just for me but for my parents as well. They had both dreamed of taking a hot air balloon ride, but neither of them ever did. I vow to make my dreams a reality! As the basket lifted off from the ground at the break of dawn, I couldn’t help but feel emotional. I almost started to cry because it really was such a wonderful experience. One I will remember for the rest of my life. The air was so fresh, the view so majestic, and everything just seemed perfect. A tinge of pink in the dawn sky gave an ideal background against the green pastures and rolling mountains in the scene scape. We drifted around in the air quietly for a total of an hour and for me it was worth every minute. I highly recommend this enticing experience. In terms of awesome days in my life, this one would have to be high on the list. On return from hot air ballooning, we re-packed our bags and made our way to the ferry terminal for an afternoon of snorkelling on the Great Barrier Reef! The islands and reef off the coast of Cairns are really so wonderful and such a natural treasure for Australia. We headed to Green Island, which is an hour or so off shore. We first took a walk around the island then spent the next few hours in the water snorkelling. In the warm shallows of low tide, I saw 2 massive stings rays, both pale coloured with blue dot impressions, a small one metre reef shark, massive fish, and lots of small brightly coloured fish in and around the reeds, coral and rocks. I have a new appreciation for snorkelling and aim to do more of it when I return to Perth. 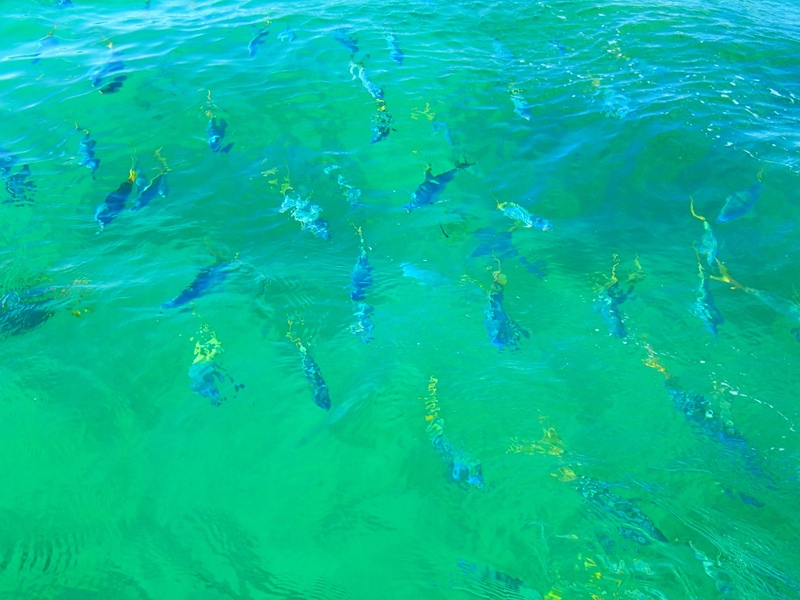 We also went on a glass bottom boat ride to see more fish further out from the coast. Here the skipper threw food out to the fish to attract them which for me was a great photo opportunity! I loved every minute of my time on the island and will be sure to return another time when I visit Cairns. I stood outside on the boat deck enjoying the final burst of fresh air from the wind of the speeding ferry. As I gazed at the majestic island view on our approach returning to Cairns, I felt calm and relaxed and appreciative of my awesome day in the sun and water. As the sea salt sprayed my face, my mind drifted back in time. Strong memories of my Dad came flooding back to me, when we were in Sydney years ago. My Dad loved the water and loved being on boats. On one trip when I was visiting, I remember going out on the ferry with him in the Sydney Harbour travelling to Manly Beach, enjoying a similar experience, watching the mesmerising water and shimmering lights, as we both enjoyed the cool breeze and ocean spray on our face. I miss him so much, and in this moment even more. Memories come flooding back in at such random times, popping fresh into mind and enabling me to relive an experience that happened so long ago. Memories now bring me so much joy and they are all I have of my loving parents. Reminiscing on these ‘good ole days’ is so good for the soul and so heart warming. I only hope I can keep returning to these wonderful thoughts to keep their memories alive in my forever racing mind. Once we were back on land I took a wander though the night markets, had an enjoyable and pressure relieving massage then we headed to dinner. Food is cheap and of great quality I discovered, as there is so much competition in the small lively precinct of the inner city hub. I am a healthy eater so was very pleased with my chicken and roast vegetable salad. By 9pm I was ready for bed after a truly epic and memorable day. Cairns proved to be a fantastic holiday and has become one of my favourite places to visit in Australia. There is so much to see and do, you can be super adventurous or relax and enjoy the beauty at your own pace. I highly recommend Cairns to any keen traveller. Early the next morning, after rising at 430 am, writing for an hour and taking a brisk run, I was ready to return to the airport. The next leg of my adventure was about to begin, and this time solo. I waved goodbye to my English friend as he would next be seeing more of the East Coast then flying home. I was aiming for Auckland. I hope you have enjoyed reading about my Queensland adventures. I would love to hear your feedback, if you would like to leave a comment or email me on anitaozo@hotmail.com. While I am travelling I have decided to post twice a week so I can keep you current with my adventures. So from now on I will post every Monday and Friday while I am on the road and return to once a week when I am home. Hopefully you can keep up with my creative flow. Thanks for reading, I hope you are enjoying learning about my travels and I hope it is inspiring you to explore and go travelling too. My next post will be about my adventures in New Zealand, the land of the great white cloud!